Имате въпрос към We believe hostel? Разположен на централно място в Крайречие на Банкок, We believe hostel е идеално начало за Вашaта екскурзия из Банкок. Хотелът се намира на 8.4 km от центъра на града и осигурява достъп до важните места на града. С удобното си местоположение хотелът предлага лесен достъп до всички градски забележителности, които задължително трябва да се видят. В We believe hostel отличното обслужване и достъпните съоръжения допринасят за Вашия незабравим престой. Хотелът е оборудван със съоръжения като безплатен WiFi достъп във всички стаи, магазин за подаръци/сувенири, експресно настаняване/напускане, съхраняване на багаж, Wi-Fi връзка в общите части. We believe hostel разполага с 5 стаи, които са обзаведени с вкус. Много от тях предлагат удобства като телевизор с плосък екран, достъп до интернет (безжичен), безжичен интернет достъп (безплатен), стаи за непушачи, климатик. Независимо от това, дали сте фен на фитнеса или просто търсите начин да отпочинете след уморителен работен ден, в хотела ще намерите най-висококачествените съоръжения, такива като голф игрище (в радиус от 3 км). Когато търсите удобно и комфортно място за настаняване в Банкок, изберете We believe hostel, който ще се превърне във втория Ви дом. Located just a short walk from where I needed to go, so I didn't have to take public transport during my stay. Staff is always friendly and accommodating and they let you run the ac whenever you want. The staff is very helpful, beside giving information they also help us to get taxi and explain clearly the taxi driver (in thai language). We feel homey. The hotel is clean and well designed. Very comfortable laid back place to stay, staff friendly and accomodating... quiet place and very relaxing, thankful to have this place while I was in BKK for a meeting. Thanks! I stayed here a couple times because it is close to my office, but it's not convenient to any other places I frequent in Bangkok. The atmosphere is quiet and peaceful. It's more of a family-friendly hostel: no alcohol allowed and I've seen Thai high school students stay here. 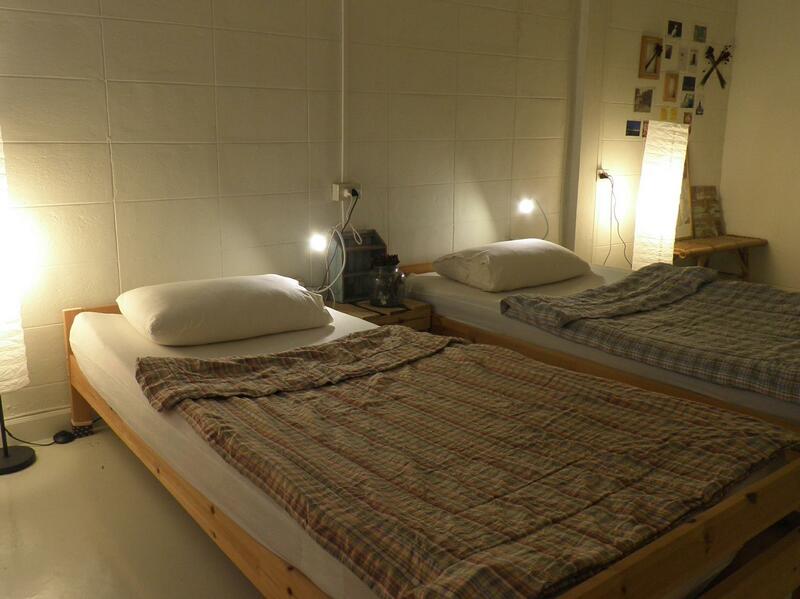 The bunks and bathrooms are great except for the sinks, though cute, don't function that well with their flat bottoms. Water tends to pool at the bottom of these sinks which overtime gives the bathrooms a faint mildew smell. It is on a noisy street. There was a bit difficulty when communicating with one of the regular staff there, since her English speaking is limited. Felt like home, such a nice atmosphere. So calming in contrast to the busy Bangkok! Loved all the love for the detail and the cats!! Thank you so much for creating a space like that. 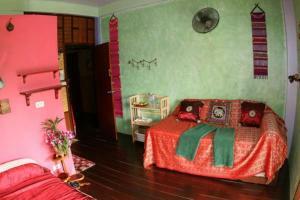 Everything is fine, staff is helpful and is a nicely decorated hostel with the main theme of cat. During my last night the power of my room went off (fortunately the air condition still worked) that the electricity resumed in the morning the next day; otherwise my stay would be perfect! If you travel with 2 people and book a double room then it's quite cheap. I'm completely satisfied with the room condition with the price I paid. The only problem is that this hostel is far from the center compared to other hostels. 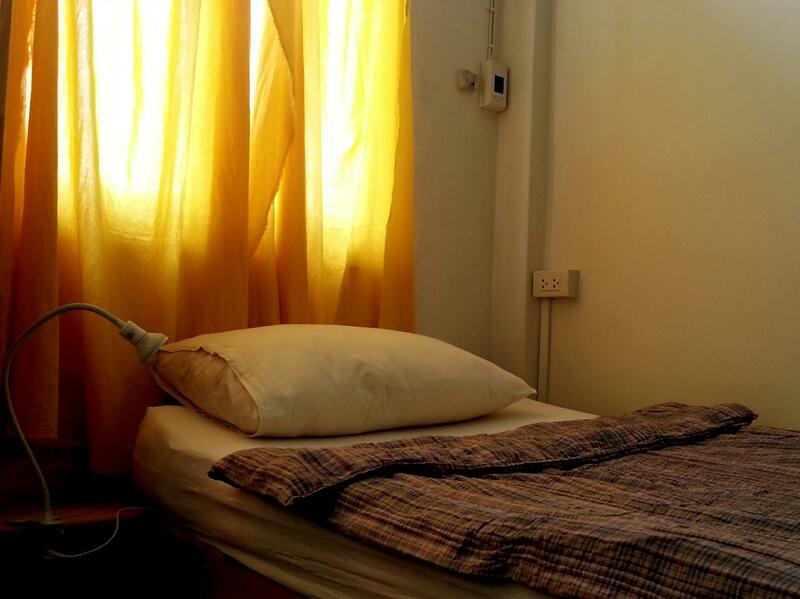 Do take note that if you check in after 10pm, staff will not be at the hostel for you. You need to call them to get instruction on how to enter your room. We took local bus (18, 515, 539) from victory monument and it only cost 26 bath each. Alight at the first bus stop after you cross the river. Walk straight to the hostel and you may found some local food stall. There is a night market near to the hostel too. A relax place to stay. 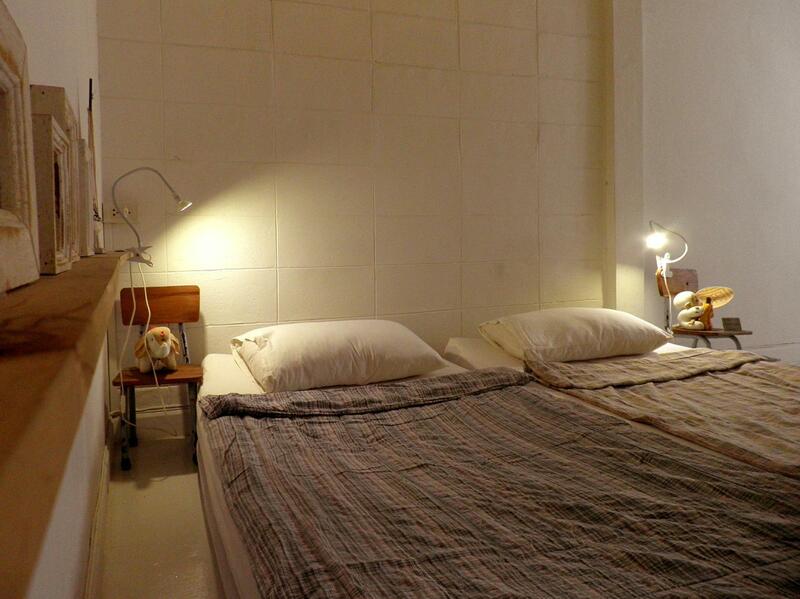 Stay in at this hostel provided an area of solace in busy Bangkok. The room was comfortable and well lit, air conditioned, and felt homey. They provide peanut butter as accommodations, which I've heard is a step up! (am a first time traveler). The staff are gracious and kind and very helpful to coordinate transportation. 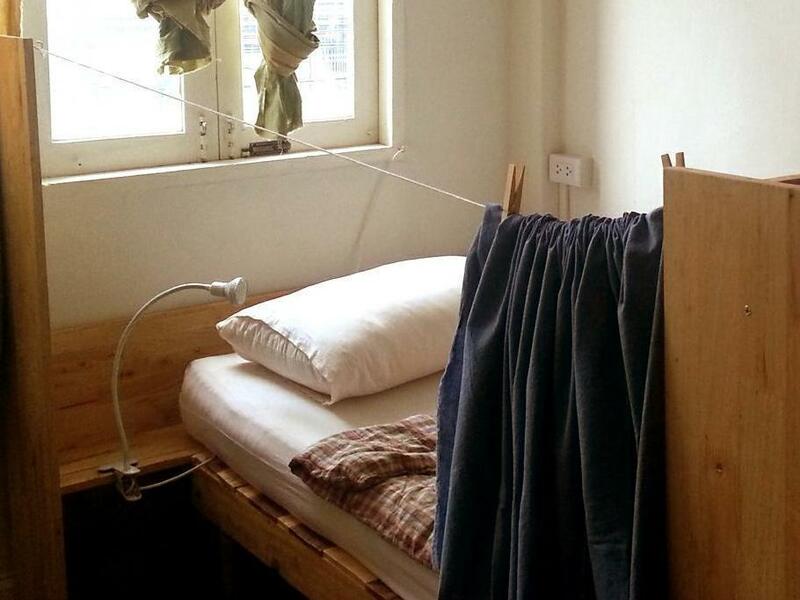 I would highly recommend this hostel! The hostel is far away from main town, but is close to river side, so if you want to spend longer time for shopping i not recommended this place, it will cost you some money for taking taxi to shopping area. It was a wonderful stay. I was very comfortable in my private room. It was nicely furnished, clean, and tidy. I loved the location. All around the hotel are sites to see, and right up the street is the river front. From the hotel you can get to anywhere because its located so close to a main bridge that goes directly over the river to the other side of the city! When I have to stay over in Bangkok this is my #1 choice! I arrived there later than my expectation because I got wrong pier to get off the boat, and was so tired when I finally arrived there. She was waiting for me at the reception since I called her to tell my situation, and gave me warm welcome with a glass of cold water when she knows I am so tired, and was so kind to inform around the area when I asked many questions. I first planned to leave for Kanchanaburi early morning but changed my mind to enjoy relaxing at their hostel for a while in the morning because I learned there was good place to relax. Friendly staff, good location, and reasonable price! 15 mins to victory monument by bus(which is so much cheaper than metro), 5 mins walking distance to pier so easy to get to the temples,and those attractions along the river, nice and clean Thai restaurant just 5 steps away. The most important thing is the clean and well maintained environment. Just one thing need to be mentioned,coz the hostel is right on the main road, wouldn't be too quiet, but they offer earplugs which is really thoughtful! Highly recommend travelers to stay with them! I booked two nights on agoda but ended up stayed 7 nights! Nice little hotel in a lively neighbourhood with plenty of locals and very few tourists around. Close to the river to get to town. Mixed feeling about the staff, very friendly and helpful in the evening, hardly say a word in the morning (different persons). Free hot drinks and toasts in the morning. I recommend this place. Staffs are very accommodating. 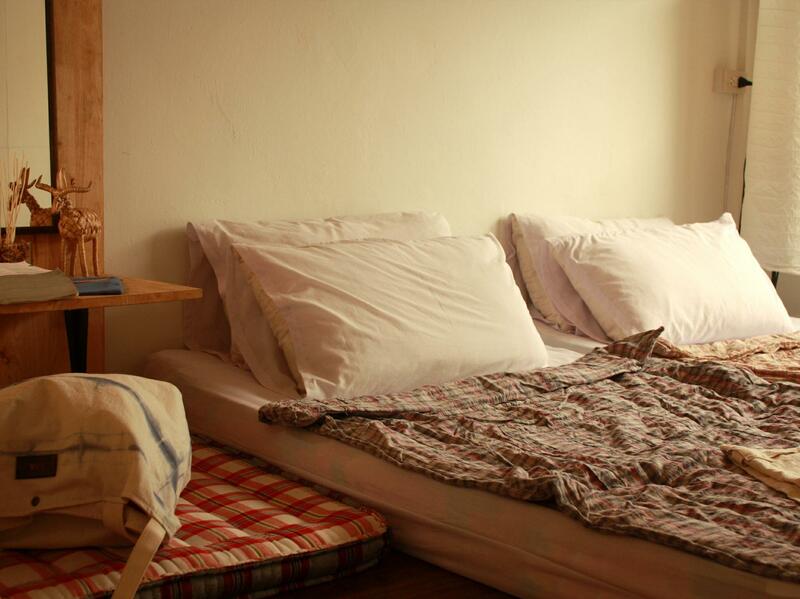 Rooms are clean with good aircondition.